Not to be confused with Shaw College. Historically black colleges and universities (HBCUs) are institutions of higher education in the United States that were established before the Civil Rights Act of 1964 with the intention of primarily serving the African-American community. This was because the overwhelming majority of predominantly white institutions of higher-learning disqualified African Americans from enrollment during segregation. 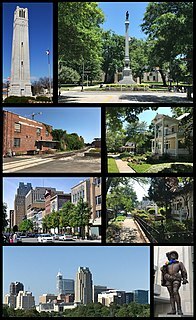 From the time of slavery in the 19th century through to the second half of the 20th century, majority schools in the Southern United States prohibited all African Americans from attending, while historic schools in other parts of the country regularly employed quotas to limit admissions of blacks. There are 101 HBCUs in the United States, including public and private institutions. This figure is down from the 121 institutions that existed during the 1930s. Of these remaining HBCU institutions in the United States, 27 offer doctoral programs, 52 schools offer master's programs, 83 colleges offer bachelor's degree programs and 38 schools offer associate degrees. Shaw University has been called the mother of African-American colleges in North Carolina, as the founding presidents of North Carolina Central University, Elizabeth City State University, and Fayetteville State University were all Shaw alumni. The founder of Livingstone College studied at Shaw, before transferring to Lincoln University. What became North Carolina Agricultural and Technical State University was located on Shaw's campus during its first year. North Carolina Central University (NCCU), also known as simply Central, is a public, historically black university in Durham, North Carolina. Founded by James E. Shepard in affiliation with the Chautauqua movement in 1909, it was supported by private funds from both Northern and Southern philanthropists. It was made part of the state system in 1923, when it first received state funding and was renamed as Durham State Normal School. It added graduate classes in arts and sciences, and professional schools in law and library science in the late 1930s and 1940s. Elizabeth City State University (ECSU) is a public, historically black college located in Elizabeth City, North Carolina. ECSU, which enrolls nearly 2,500 students in 37 baccalaureate programs and three master's degree programs, is a member-school of the Thurgood Marshall College Fund, as well as a member-institution of the University of North Carolina system. Fayetteville State University (FSU) is a historically black public regional university in Fayetteville, North Carolina. FSU is part of the University of North Carolina System and the Thurgood Marshall College Fund. Shaw University is affiliated with the General Baptist State Convention of North Carolina and a member of the National Baptist Convention, USA, Inc. which supports the Shaw University Divinity School. 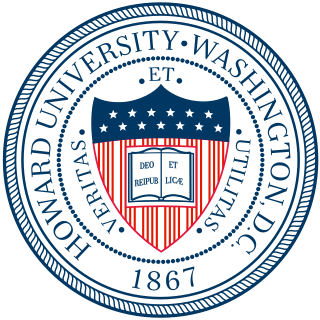 Along with Howard University, Hampton University, Lincoln University, PA and Virginia Union University, Shaw was a co-founding member of the NCAA Division II's Central Intercollegiate Athletic Association (CIAA) Conference, the oldest African American athletic association in the U.S. The university has won CIAA championships in Football, Basketball (women's and men's), Tennis (women's and men's) and volleyball. The National Baptist Convention, USA, Inc., more commonly known as the National Baptist Convention, is the largest predominantly African-American Christian denomination in the United States. It is headquartered at the Baptist World Center in Nashville, Tennessee and affiliated with the Baptist World Alliance. The denomination claims approximately 31,000 congregations and reports having an estimated 7.5 million members. Hampton University (HU) is a private historically black university in Hampton, Virginia. It was founded in 1868 by black and white leaders of the American Missionary Association after the American Civil War to provide education to freedmen. It is home to the Hampton University Museum, which is the oldest museum of the African diaspora in the United States, and the oldest museum in the state of Virginia. In 1878, it established a program for teaching Native Americans that lasted until 1923. The Johns Hopkins University is a private research university in Baltimore, Maryland. Founded in 1876, the university was named for its first benefactor, the American entrepreneur, abolitionist, and philanthropist Johns Hopkins. His $7 million bequest —of which half financed the establishment of Johns Hopkins Hospital—was the largest philanthropic gift in the history of the United States up to that time. Daniel Coit Gilman, who was inaugurated as the institution's first president on February 22, 1876, led the university to revolutionize higher education in the U.S. by integrating teaching and research. Adopting the concept of a graduate school from Germany's ancient Heidelberg University, Johns Hopkins University is considered the first research university in the United States. Over the course of several decades, the university has led all U.S. universities in annual research and development expenditures. In fiscal year 2016, Johns Hopkins spent nearly $2.5 billion on research. The National Science Foundation (NSF) is a United States government agency that supports fundamental research and education in all the non-medical fields of science and engineering. Its medical counterpart is the National Institutes of Health. With an annual budget of about US$7.0 billion, the NSF funds approximately 24% of all federally supported basic research conducted by the United States' colleges and universities. In some fields, such as mathematics, computer science, economics, and the social sciences, the NSF is the major source of federal backing. Nanotechnology ("nanotech") is manipulation of matter on an atomic, molecular, and supramolecular scale. The earliest, widespread description of nanotechnology referred to the particular technological goal of precisely manipulating atoms and molecules for fabrication of macroscale products, also now referred to as molecular nanotechnology. A more generalized description of nanotechnology was subsequently established by the National Nanotechnology Initiative, which defines nanotechnology as the manipulation of matter with at least one dimension sized from 1 to 100 nanometers. This definition reflects the fact that quantum mechanical effects are important at this quantum-realm scale, and so the definition shifted from a particular technological goal to a research category inclusive of all types of research and technologies that deal with the special properties of matter which occur below the given size threshold. It is therefore common to see the plural form "nanotechnologies" as well as "nanoscale technologies" to refer to the broad range of research and applications whose common trait is size. Because of the variety of potential applications, governments have invested billions of dollars in nanotechnology research. Through 2012, the USA has invested $3.7 billion using its National Nanotechnology Initiative, the European Union has invested $1.2 billion, and Japan has invested $750 million. The Southern Association of Colleges and Schools (SACS) is one of the six regional accreditation organizations recognized by the United States Department of Education and the Council for Higher Education Accreditation. This agency accredits over 13,000 public and private educational institutions ranging from preschool to college level in the Southern United States. Its headquarters are in North Druid Hills, Georgia, near Decatur and in the Atlanta metropolitan area. The American Psychological Association (APA) is the largest scientific and professional organization of psychologists in the United States, with around 117,500 members including scientists, educators, clinicians, consultants, and students. The APA has an annual budget of around $115m. There are 54 divisions of the APA—interest groups covering different subspecialties of psychology or topical areas. The school was founded by the American Baptist Home Mission Society. Henry Martin Tupper came south immediately after the end of the Civil War, establishing the Second Baptist Church of Raleigh (changed to Tabernacle Baptist Church in 1910, and now the Tupper Memorial Baptist Church.) Later Tupper and his Bible study students constructed a two-story church, with one story for the church, and one for the Raleigh Institute, where he taught freedmen. By 1915, supported by the American Baptist Home Mission, the school had 291 students, evenly divided between men and women. The American Baptist Home Mission Society is a Christian missionary society. Its main predecessor the Home Mission Society was established in New York City in 1832 to operate in the American frontier, with the stated mission "to preach the Gospel, establish churches and give support and ministry to the unchurched and destitute." In the 19th century, the Society was related to the Triennial Convention of Baptists. Today it is part of that Convention's successor, the American Baptist Churches, USA, and is the successor by merger of several 19th century Baptist organizations related to missions and education, including publications (1824), women (1877), and education (1888). Henry Martin Tupper D.D. was a Baptist minister who founded Shaw University in Raleigh, North Carolina. Beginning with bible and literacy classes in December 1865, it was the first university established for African Americans following the end of the civil war, and the oldest historically black college and university (HBCU) in the Southern United States, as well as one of the oldest co-educational universities in the country. When the institute moved into a new building in 1871, it was renamed as Shaw Collegiate Institute in honor of a major donor. Tupper served as the University's first president from its founding until his death in 1893. In 1879, a third major building was erected – a chapel and dining hall called the Greenleaf Building. It was named for O.H. Greenleaf of Springfield, MA, a yearly liberal contributor. The upper part of the building was accessible by stairs. Doors on either side of the tower provided entrance to the dining room. At the right of the chapel was a small room and at the left a library. A storeroom existed under the stairway. Funds saved from the school were used to build this structure. These were augmented by contributions of $650 (15,116.28 in current dollars[ when? ]) from O.H. Greenleaf, Captain Ebenezer Morgan, and Deacon O.B. Grant of Stonington. It was renamed Shaw Collegiate Institute after Elijah Shaw, benefactor of Shaw Hall, the first building. In 1875, it became Shaw University. In 1873, Estey Hall was built, marked the first female dormitory on the campus of a co-ed school in the United States. In 1866 when the Raleigh Institute was first being developed, Tupper had hoped to open a medical school; in 1881 the medical building became a reality, $15,000 (220,588.24 in current dollars[ when? ]) was contributed to make it. The medical school complex consisted primarily of three structures – a four story medical dormitory built to accommodate 75 men and erected around 1880 when the trustees approved the establishment of a medical department; the Leonard Medical Building, erected in the summer and fall of 1881 and containing lecture rooms, dissecting rooms, an amphitheater, and opened for its first session on November 1, 1881; a 25 bed hospital which opened for the reception of patients on January 10, 1885. It was the first four-year medical school to train African-American doctors in the South. On December 11, 1888 the university opened their law school. The full curriculum offering at Shaw are unknown, but it was the only black law school that had a course in legal shorthand. The course was offered on the premise that such a skill would broaden the opportunities for a black lawyer to work in a legal firm in a clerical position or as an office assistant should discrimination impede their ability to practice law. Shaw University graduated fifty-seven law students before it closed in 1916. It graduated fifty-four law students between 1891 and 1914. North Carolina politician John S. Leary was an important figure in the founding of the law school served as its dean  starting in March 1890. He was followed as dean by Edward A. Johnson, who was the law school's first graduate  and later the first African-American member of the New York State Assembly. In 1968, Shaw University became the first black college to own a radio station. At first, the station used an antenna on top of a building on the downtown campus, but in the late 1990s a new tower was built in southeast Raleigh near Interstate 40. WFSS in Fayetteville, North Carolina moved from 89.1 FM to 91.9 FM to allow WSHA to increase power. The university sold the station to Educational Media Foundation effective July 26, 2018, who subsequently renamed it WRKV. The Student Nonviolent Coordinating Committee (SNCC) /ˈsnɪk/ was one of the organizations of the American Civil Rights Movement in the 1960s. It emerged from a student meeting organized by Ella Baker that was held at Shaw University in April 1960. SNCC grew into a large organization, gaining many supporters in the North as well as in the South. It led grassroots organizing for voter education and registration in Mississippi, among other initiatives. In 2005, Shaw University Divinity School (SUDS) received a 10-year accreditation from the Association for Theological Schools. The university also began construction on the Center for Early Childhood Education, Research and Development. Shaw University is a member of the Cooperating Raleigh Colleges (CRC) Program. This intercollegiate program is a consortium to pool resources of courses and programs, material, and professors for the sake of providing effective education to all the students. The participating colleges are Shaw University, North Carolina State University, Saint Augustine's College, Wake Technical Community College, Peace College, and Meredith College. Shaw University led a research study to investigate why no black veterans of World War II had been awarded the Medal of Honor. The study concluded that racial discrimination had contributed to the military's overlooking the contributions of black soldiers. The 272-page study recommended ten soldiers whose military records suggested they deserved the Medal of Honor. In January 1995, the team's findings were sent to the U.S. Department of Defense. In April 1996, the department agreed that seven of the ten soldiers should be awarded the Medal of Honor. All ten had been awarded other medals during the war years. President Bill Clinton awarded the Medals of Honor on January 13, 1997. Shaw University is a member and co-founder of the National Collegiate Athletic Association Division II's Central Intercollegiate Athletic Association (CIAA) Conference. Shaw University's Basketball team participates in the CIAA annual Basketball Tournament, which is the third most attended athletic event in collegiate sports after the Atlantic Coast Conference and Big East tournaments [ citation needed ]. Shaw fields 14 varsity athletic teams including teams in men's soccer, women's soccer, men's basketball, women's basketball, football, tennis, baseball, cheerleading, men's and women's track and field, volleyball, golf, and bowling. The athletic teams are known by the "Bears" nickname. In 2002, Shaw University's men's basketball team won the CIAA championship. Also, the ladies' basketball team won the 2008 CIAA championship. The football team, reestablished by Clarence G. Newsome in 2002, played at Durham County Memorial Stadium in Durham, North Carolina, through the 2008 season. In 2009, the team relocated their home games to Millbrook High School in Raleigh. The Bears currently play at Durham County Stadium. It won the CIAA football championship in 2004, 2007, 2008, and 2010. The football team has also made the Division II playoffs in 2007 and 2010. Also in 2011 both men's and women's teams won the CIAA Tournament making Shaw the last school since Norfolk State in 1975 to win the big three championships in the same year. Shaw's Lady Bears won the NCAA Division II Championship for the 2011-2012 season. The Shaw University Lady Bears have won the CIAA Tournament four years in a row twice (2003-2006) (2011-2014). Their most recent win occurred on March 1, 2014. The Bears have won a total of 60 CIAA championships between men's and women's basketball, men's and women's tennis, football and volleyball. Shaw's marching band, better known as "Platinum Sound", was reestablished in the Fall of 2002 along with the reestablishment of the football team. The band has grown from 80 members in 2002 to over 130 members. Shaw's marching band has participated in the Honda Battle of the Bands at the Georgia Dome in Atlanta, Georgia. As a result of the massive destruction caused by the tornado outbreak of April 14–16, 2011, the university cancelled classes for the semester. As a result of the storm, two dormitories, the student union, and the roof of Estey hall were severely damaged. There were minor injuries but no one was seriously hurt. New Jersey City University (NJCU) is a public liberal arts university in Jersey City, New Jersey. Chartered in 1927, it opened in 1929 as the New Jersey State Normal School at Jersey City. Today consists of the NJCU School of Business, College of Arts and Sciences, College of Education, and College of Professional Studies. It is a member of the New Jersey Association of State Colleges and Universities. New Jersey City University is a fully recognized and accredited university. NJCU provides education to over 8,500 students. 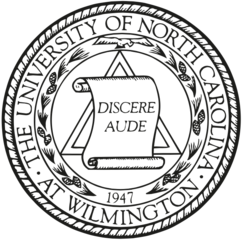 The University of North Carolina Wilmington (UNCW), sometimes referred to as UNC Wilmington or affectionately as The Dub, is a public, research university in Wilmington, North Carolina. UNCW enrolls 16,747 undergraduate, graduate and doctoral students each year as part of the 17-campus University of North Carolina System. 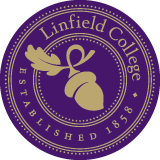 Linfield College is a private college in McMinnville, Oregon. It also has a campus in Portland and an adult degree program located online and in eight communities throughout the state. Linfield Wildcats athletics participates in the NCAA Division III Northwest Conference. There are a combined 2,282 students at Linfield, which employs more than 150 full-time professors. Bentley University is a private co-educational university in Waltham, Massachusetts, 9 miles (14 km) west of Boston, focused on business. Founded in 1917 as a school of accounting and finance in Boston's Back Bay neighborhood, Bentley moved to Waltham in 1968. Bentley awards bachelor of science degrees in 14 business fields and bachelor of arts degrees in 11 arts and sciences disciplines, offering 36 minors spanning both arts and science and business disciplines. The graduate school emphasizes the impact of technology on business practice, and offers PhD programs in Business and Accountancy, the Bentley MBA with 16 areas of concentration, an integrated MS+MBA, seven Master of Science degrees, several graduate certificate programs and custom executive education programs. North Carolina Agricultural and Technical State University is a public, historically black, research university in Greensboro, North Carolina. It is a constituent institution of the University of North Carolina, one of the oldest public universities in the United States. Founded by the North Carolina General Assembly on March 9, 1891, as the Agricultural and Mechanical College for the Colored Race, it is the second college established under the provisions of the Morrill Land-Grant Acts, and first for people of color in the state of North Carolina. Initially, the college offered instruction in Agriculture, English, Horticulture, and Mathematics. In 1967, the college was designated a Regional University by the North Carolina General Assembly and renamed North Carolina Agricultural and Technical State University. Lander University is a public university in Greenwood, South Carolina. It is the state's second-smallest publicly funded baccalaureate institution. Husson University is a private university in Bangor, Maine. It offers undergraduate and graduate degrees and has a total enrollment of approximately 3,500 students, including 750 graduate students. Francis Marion University is a public liberal arts university located six miles (11 km) east of Florence, South Carolina. It is named in honor of American Revolutionary War hero Brigadier General Francis Marion. 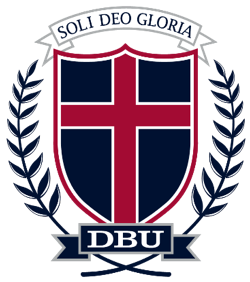 Dallas Baptist University (DBU), formerly known as Dallas Baptist College, is a Christian liberal arts university located in Dallas, Texas. The main campus is located approximately 12 miles (19 km) southwest of downtown Dallas overlooking Mountain Creek Lake. Founded in 1898 as Decatur Baptist College, Dallas Baptist University currently operates campuses in Dallas, Plano, and Hurst. West Liberty University (WLU) is a public university in West Liberty, West Virginia, United States, near Wheeling. West Liberty University is West Virginia's oldest institution of higher education. It offers more than 70 undergraduate majors plus a number of graduate programs, including a master's degree in education and an online MBA. WLU's athletic teams, known as the Hilltoppers, are charter members of the NCAA Division II Mountain East Conference with nearly 400 student-athletes participating in 18 intercollegiate sports. These include men’s football, cross country, basketball, wrestling, track, tennis, baseball and golf along with women’s softball, volleyball, cross country, basketball, track, tennis, golf and soccer. Most recently the university added women’s acrobatics and tumbling to the mix along with men’s soccer. Johnson & Wales University (JWU) is a private career-oriented university with its main campus in Providence, Rhode Island. Founded as a business school in 1914 by Gertrude I. Johnson and Mary T. Wales, JWU currently has 15,063 students enrolled in business, arts & sciences, culinary arts, education, engineering, equine management, hospitality, and engineering technology programs across its campuses. Charleston Southern University (CSU), founded in 1964 as Baptist College, is an independent comprehensive university located in North Charleston, South Carolina, United States. Charleston Southern enrolls 3,600 students. Affiliated with the South Carolina Baptist Convention, the university's vision is to be nationally recognized for integrating faith in learning, leading and serving. North Carolina Wesleyan College is a private Methodist liberal arts college in Rocky Mount, North Carolina. Founded in 1956, the school offers a number of degree programs in the arts and sciences and selected professional disciplines. North Carolina Wesleyan also offers evening courses at its main Rocky Mount campus, as well as satellite locations in Morrisville, Goldsboro, Greenville, North Carolina, Whiteville, North Carolina, Washington, North Carolina, and Wilmington, North Carolina. Oakland City University (OCU) is a private university affiliated with the General Baptist Church and located in Oakland City, Indiana. It is the only General Baptist Church-affiliated college or university in the United States. Founded in 1885, it has slowly grown to the present student enrollment of about 120 on the main campus and, counting all sites, about 2,000 total. OCU's teams, called the Oaks, play in the National Christian College Athletic Association (NCCAA) and NCAA Division II, where they have won many CCNIT national titles over the years. Estey Hall is a historic building on the campus of Shaw University in Raleigh, North Carolina. It was the first building constructed for the higher education of African-American women in the United States. Built in 1873, Estey Hall is the oldest surviving building at Shaw, which is the oldest historically black college in the South and was the first institution of higher learning established for freedmen after the Civil War. The building, originally known as "Estey Seminary," was named in honor of Jacob Estey, the largest donor to the construction project. Estey Hall, located in the East Raleigh-South Park Historic District, was listed on the National Register of Historic Places in 1973 and is a Raleigh Historic Landmark. Leonard Hall is a historic educational building located on the campus of Shaw University in Raleigh, North Carolina. Built in 1881 and originally named Leonard Medical Center, Leonard Hall was established when medical schools were professionalizing. It was the first medical school in the United States to offer a four-year curriculum. ↑ "CAPE Adult Degree Program". Shaw University. Archived from the original on 2014-03-20. Retrieved April 23, 2014. ↑ Emancipation . Retrieved 15 August 2015. ↑ Anderson, James D. (1988). The Education of Blacks in the South, 1860–1935 . Chapel Hill: University of North Carolina Press. pp. 244–245. ↑ "Carolina-Shaw Partnership for Elimination of Health Disparities". Archived from the original on 2008-04-12. Retrieved March 27, 2008. ↑ "CIAA". CIAA. Archived from the original on 2015-09-05. Retrieved 15 August 2015. ↑ "Shaw University students to compete in quiz-bowl tournament". newsobserver. Archived from the original on 2016-08-03. Retrieved 2016-06-08. ↑ "Shaw Campus Hit By Raleigh Storm; No Injuries". News & Events. Shaw University. Archived from the original on 2012-11-15. Retrieved November 5, 2012. ↑ McClaurin, Irma (April 17, 2011). "Message from President McClaurin: A Prayer for Hope in the Face of Disaster" (PDF). Shaw University. Archived (PDF) from the original on 2012-08-14. Retrieved November 5, 2012. ↑ "Full text of "Shaw University Bulletin: Alumni Number with Founder's Day Announcements"" . Retrieved 15 August 2015. ↑ "Gladys Knight Biography". Archived from the original on 2016-01-07. Retrieved 15 August 2015. ↑ Adam Clayton Powell. "Adam Clayton Powell - Notable Names DataBase (NNDb)" Archived 2014-03-07 at the Wayback Machine , Notable Names Database , September 11, 2001. Accessed March, 2014. ↑ Shaw U Alumni. " 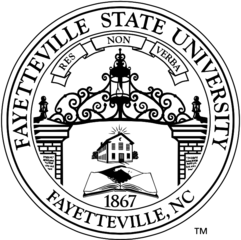 Shaw University - Notable Names DataBase (NNDb)" Archived 2013-10-02 at the Wayback Machine , Notable Names Database , Accessed March, 2014. ↑ Presidents & Chancellors. "NC A&T Library" Archived 2014-03-18 at the Wayback Machine , May 29, 2009. Accessed March, 2014. ↑ ITS Web Services. "Past Presidents and Chancellors". Archived from the original on 2015-09-05. Retrieved 15 August 2015. ↑ Martin, Douglas. "Lucius Walker, Baptist Pastor for Peace, Dies at 80" Archived 2018-01-25 at the Wayback Machine , The New York Times , September 11, 2010. Accessed September 12, 2010. ↑ "Fleming, Louise Celia "Lulu" (1862-1899)". BlackPast.org. Archived from the original on 2018-02-13. Retrieved 12 February 2018. Wikimedia Commons has media related to Shaw University .